Boyd Bros Concrete manufactures a wide variety of concrete septic tanks, pump chambers and holding tanks. State-of-the-art fully automated concrete batching and meticulously maintained forms ensure products you can count on to last a lifetime. 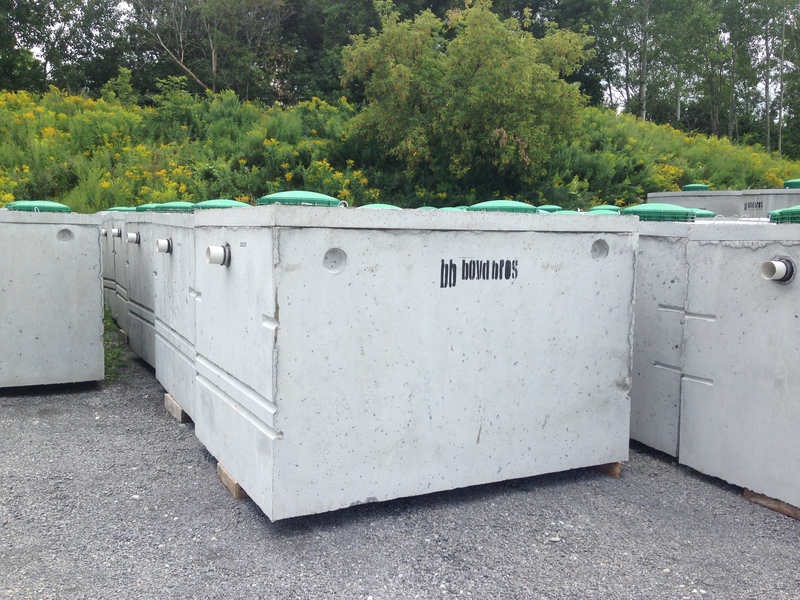 Boyd Bros Concrete manufactures a wide range of concrete septic tanks for use as pump vaults. They range from 450L to 10000L and can come as straight tanks or pre-assembled with an effluent pump and alarm ready for installation. While standard burial depth is 24”, deeper models can be made. Custom configurations on short lead times are also available with duplexing pumps, high-head pumps, grinder and sewage pumps as well as simple high-water alarms to complex three-phase duplexing time-dosing panels with remote telemetry. For septic tank sizing and specs please visit our Downloads page. Boyd Bros Concrete carries a wide range of concrete septic tanks. They range from 3600L to 45000L and come complete with Tuf-Tite effluent filters. All of our tanks also come standard with Tuf-Tite plastic risers and lids to enable ‘greener looking’ lawns. For septic tank sizing and specs please visit our Downloads page. 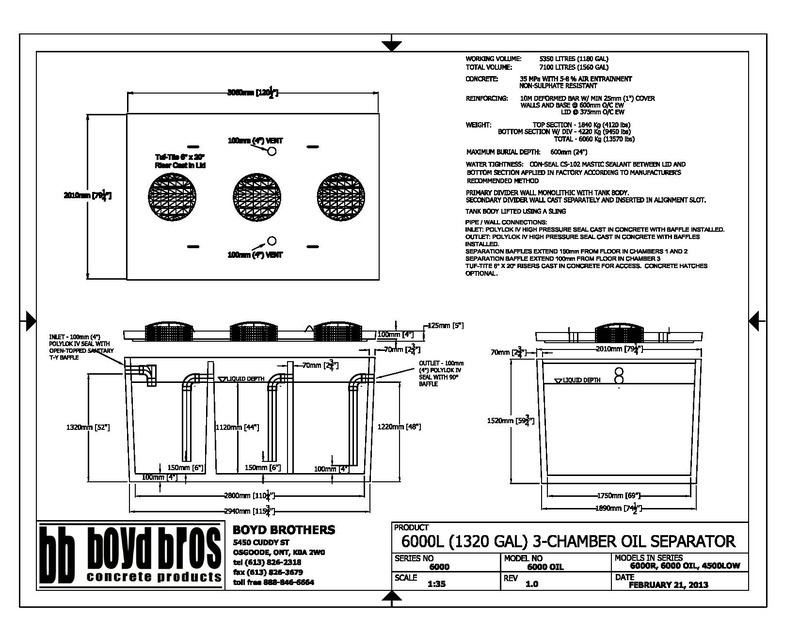 As groundwater protection has become an extremely important factor in everyday life, Boyd Bros Concrete’s grease, oil and grit separators have made it that much easier to deal with. Our tanks come in both 2- or 3- compartment configurations and range in sizes from 900L to 9000L depending on the engineer’s specifications. For tank sizing and specs please visit our Downloads page.